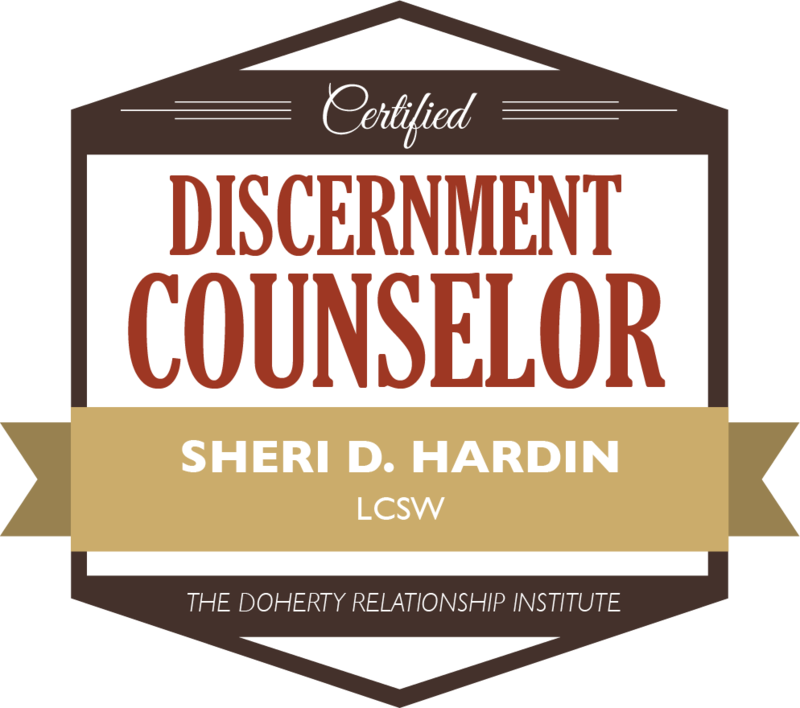 Discernment Counseling is a new way of helping couples where one person is “leaning out” of the relationship—and not sure that regular marriage counseling would help—and the other is “leaning in”–that is, interested in rebuilding the marriage. The goal is for you to gain clarity and confidence about a direction, based on a deeper understanding of your relationship and its possibilities for the future. The goal is not to solve your marital problems but to see if they are solvable and if you both want to do what it will take to solve them. You will each be treated with compassion and respect no matter how you are feeling about your marriage at the moment. There are no bad guys and good guys. You will come in as a couple, but the most important work occurs in one-to-one conversations with the counselor. Why? Because you are starting out in different places. The counselor respects the reasons for divorce while opening up the possibility of restoring the marriage to health. The counselor also emphasizes the importance of each of you seeing your own contributions to the problems and the possible solutions. This will be useful in future relationships, even if this one ends. Discernment Counseling is NOT marriage counseling. It is brief and time limited, usually between 1 and 5 sessions, and it helps you decide if you want to spend the money and effort on marriage counseling. The first session is usually two hours and subsequent sessions are 1.5 hours. When there is danger of domestic violence. SDH Counseling is LBGTQI+ affirming.